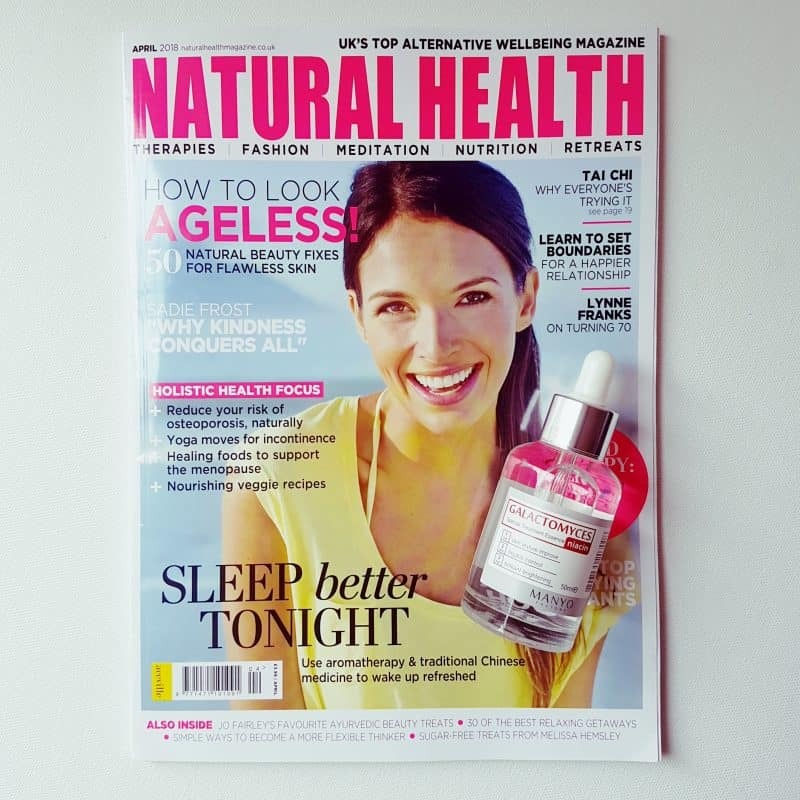 Natural Health Magazine recommends Manyo Factory The Galactomyces Niacin Special Treatment Essence as a product to reveal your best skin as the seasons change in their April 2018 issue. 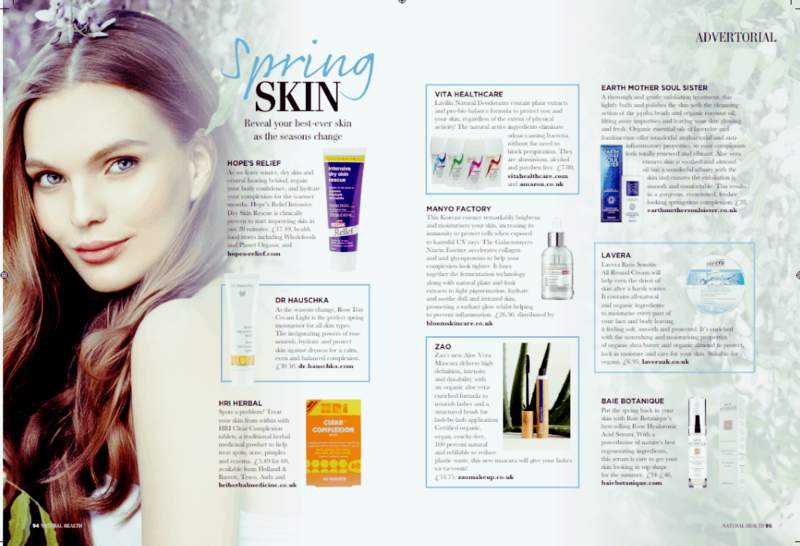 We are happy that our product has been picked up by UK’s Top Alternative Wellbeing Magazine to introduce their dearest readers to Korean beauty trend and natural skincare. Read more advices on healthy lifestyle at their page or buy this wonderful wellbeing magazine’s subscription. The Galactomyces Niacin Special Treatment Essence is a multipurpose skincare product that helps to fight long lasting skin conditions like acne, large pores and blemishes. It brightens and hydrates your skin! It has very short and clear list of ingredients, no toxins in it! This entry was posted in MEDIA and tagged Galactomyces niacin essence, korean beauty, natural health magazine, niacin speacial treatment essence, review, spring skin.